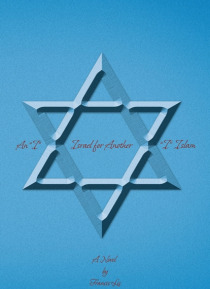 This is a book written in the contemporary and speaks about a more-than-possible future that is to come to the world and how America betrays Israel for Islam! It is as things today in America are like with this present government, and it describes things as they really are and not as one would like them to be or want them to be and so is written as things really are. Also this book is based on fac… ts but written in a fictional setting, but it should not be taken lightly and must be read in order to understand what is really happening behind the scenes, where international bankers and their New World Order are running things until the Antichrist appears on the scene. But first the rapture of the saints must occur according to Scripture. Wake up for our redemption draws near, and so it is not too late to be on Gods side. When it comes to Israel and the Jewish people, his Chosen People, only a remnant shall be saved, and right now there are about 17 million Jews in the world but only about 300,000 are Messianic Jewish people, which the majority of Jews hate and the Gentile church is trying to replace!